The Big Short has, in various public awareness campaigns, been sold as the latest comedy from the director of Anchorman. And, whilst this is not technically inaccurate, such a description - alongside the presence of Steve Carell (A.K.A. Brick Tamland) - can be considered misleading. This is not the type of absurdist slapstick farce one would expect from Will Ferrell's peers but, instead, a bleak agitprop fable attacking the avaricious heart of the financial sector. In short, this is the movie that Martin Scorsese tried and failed to make. 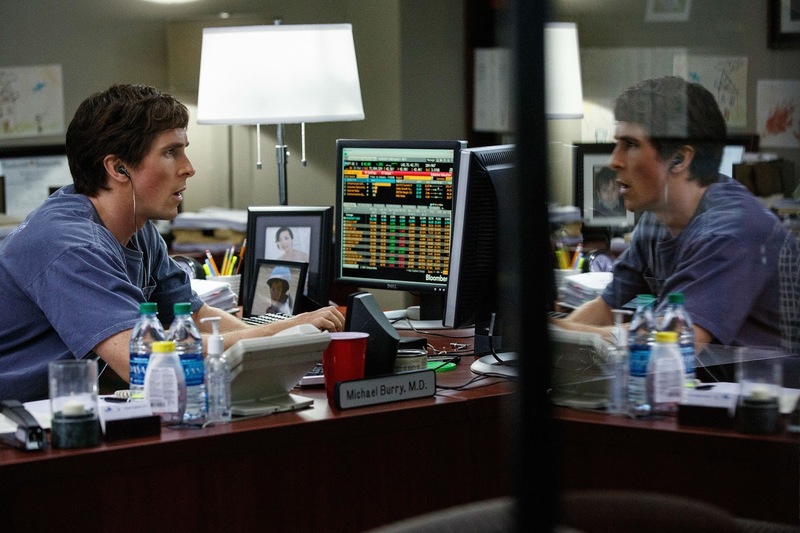 To state that a film about economics, the intricacies of the housing market and fiscal speculation is one of the year's most thrilling so far may seem preposterous to those who have yet to see The Big Short. Yet, Adam McKay's latest feature is every bit as gripping, provocative and insightful as his most famous movie, Anchorman, is brilliantly dumb. Based on Michael Lewis' non-fiction book of the same name, it is impossible to not marvel how so much colour and energy has been added to a subject which has the potential to be incredibly monochrome. Lewis has form on this front - his earlier tome, Moneyball, made a study on the baseball statistic measuring tool, Sabremetrics, one of the most emotionally rewarding book releases of the Twenty First century. McKay's film, like Lewis' book, seeks to help us understand large, quantitative-based ideas through the prism of human interactions and the often-flawed people at the heart of the story. We understand the housing market collapse from the perspective of bankers who lived inside the numbers on a daily basis. 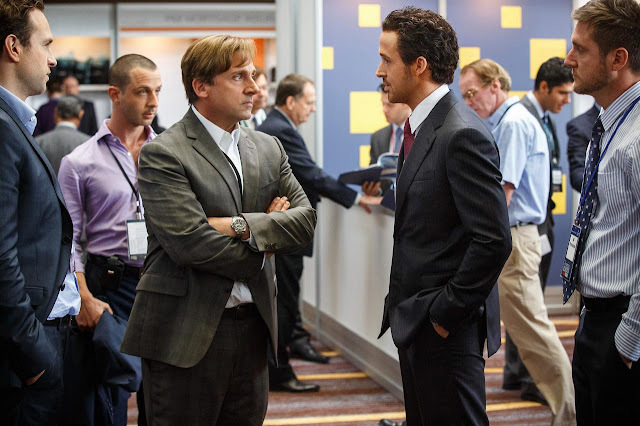 As such, The Big Short takes us back to a time when money-men were at their hubristic peak, having made personal and professional fortunes based on speculation surrounding the supposed infallibility of the housing market. This is the tale of those who saw through this charade and gained incredible wealth from betting against received knowledge; that they did so whilst millions around the world became victims of the collapse is particularly galling. We learn here of the extent which the crash was man-made and get to peak into the often repellent lives of the people who caused it. The Big Short is a forensic film which analyses financial transactions in great details but does so with great intelligence and flare. The fourth wall is often broken as McKay peppers his movie with visual illustrations and metaphors, such as a game of Jenga, to consolidate his themes, and with colourful vignettes to make accessible the intricacies of the more obtuse sectors of banking and money management. Margot Robbie, for example, appears in a bubble bath specifically to explain sub-prime markets whilst Selena Gomez plays blackjack in a sequence designed to heighten our comprehension of speculation and "shorts". There's a level of anarchy to McKay's direction but one which is used to entertain and explain, to order ideas within the chaos. This is a movie which is smart and enjoyable in equal measures. Whilst The Big Short will win many plaudits for the performances of its cast - Carell is joined by Christian Bale, Brad Pitt and Ryan Gosling in lead roles - and for its acerbic direction, its greatest success is the way in which the movie ultimately engages our hearts and minds simultaneously. This is a rare movie which challenges our intellect whilst pushing at our emotions too - The Big Short expands our knowledge whilst filling us with rage. Dense ideas are explained with clarity and the movie makes the viewer laugh, often at hubris or absurdities, whilst offering the confidence of knowledge and a smattering of righteous indignation too. This is an entertaining movie, and a potentially hugely important one also. The next time George Osbourne, for example, blames the crash on excessive governmental borrowing and uses it as a justification to take money from the poor, we'll know he is lying. Whilst we can't unleash our anger directly at the bankers who stole our money, who offered themselves huge bonuses for being wrong whilst our homes were re-possessed, we can take it out on the politicians who allowed them to flourish.